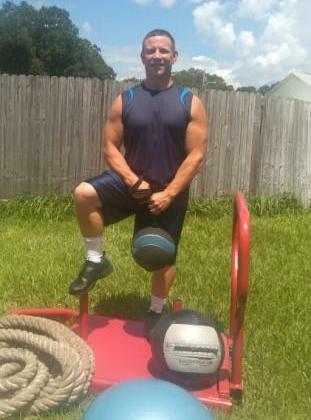 I have been involved with the Fitness Industry for the last 35 years, grew up in a Sports family, played three sports (football, baseball wrestling), but my first love has always been weight training and conditioning. Though I have been a Certified Personal trainer for three years, I always tell potential clients I have trained people since I was in the sixth grade. At an early age I had a passion to train people, to see my underachieving peers on the sports field get to the next level by getting them involved with weight training. I have a wealth of experience in the fitness field having trained adolescents as young as age four, served one year as a volunteer strength and conditioning coach at Jimmy Swaggart Bible College, Rehab with senior citizens and handicap clients, pre and post natal fitness, speed training and conditioning with juvenile, high school and college athletes. Currently I am working with military clients on conditioning to pass there PT tests. What my clients like about me is that I am intrinsically motivated, energetic with a fitness level of a kid half my age. When they see a 52 year old man doing boot camp training in the mid summer Florida heat it really inspires them to improve their health and fitness level. What really excites me is to see results in my clients in reaching their goals whether it is losing weight to get in that wedding dress or swimsuit, improving one's flexibility and agility to climb a mountain. A 74 year old stroke victim learning to walk again, or preparing one to enter a tough mudder, crossfit event.